Kennel Cough or infectious tracheobronchitis is a common infection that affects both dogs and cats. Kennel Cough is a contagious condition; it is caused by a mix of bad bacteria and viruses that targets the animal’s respiratory system. While the illness can cause the animal to show signs similar to that of the flue, Kennel Cough will usually clear up of its own accord after a week or two. You’ll notice a number of symptoms that are tell-tale signs of Kennel Cough. The main symptom that will warn you that your pet is unwell is lethargy. A dog or cat that is usually active and enthusiastic for exercise will become lazy and display an intolerance for exercise. Other common symptoms include excessive sneezing, swollen or painful lymph nodes and a loss of appetite. There are a number of symptoms that will point to infectious tracheobronchitis or Kennel Cough in your cat or dog. Some of these symptoms are shared with a number of other potentially serious illnesses and, if you observe any of these signs, it’s important to seek veterinarian assistance as soon as possible. Kennel Cough is not a serious or life-threatening disease. It’s a condition that is infectious, like the common cold or flu, and the condition will usually clear up within a couple of weeks without any major upset to the animal. If your dog or cat is subjected to living in a poorly ventilated home, has been in a boarding kennel or pound, or has been around excessive dust or smoke, these common signs of Kennel Cough may begin to show. Like humans, when a pet comes down with a virus, fever often follows. Keep an eye out for lethargy, shivering or a lack of appetite. This is far more common in dogs than cats, although cats can sneeze due to Kennel Cough. Weight Loss. With a reduced appetite weight loss can quickly follow. If your cat or dog is showing little enthusiasm for food, they are likely to be ill. Exercise Intolerance. If you notice that your dog isn’t keen for their daily walk or your cat isn’t as playful as usual, they may be sick with Kennel Cough. Running Eyes. The eyes may discharge a thick, soupy liquid. If it dries and becomes crusty, this is a sure sign of infection. Swollen Lymph Nodes. Just like humans, when your cat or dog is unwell their lymph nodes may become swollen or sore to touch. As always, if you notice any of these signs, see your vet for assistance. Many of these symptoms are common to a number of diseases and disorders. 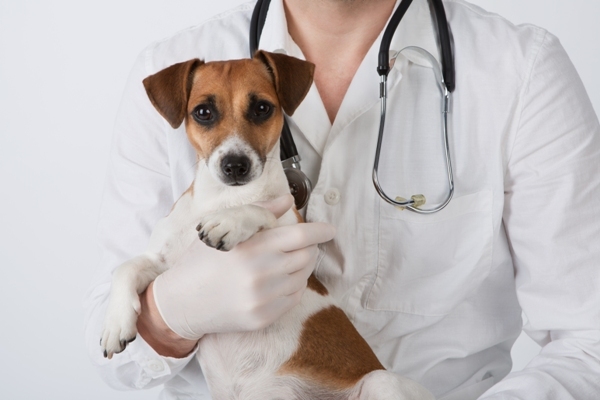 The only sure way to diagnose Kennel Cough is to have your pet observed by a veterinarian. 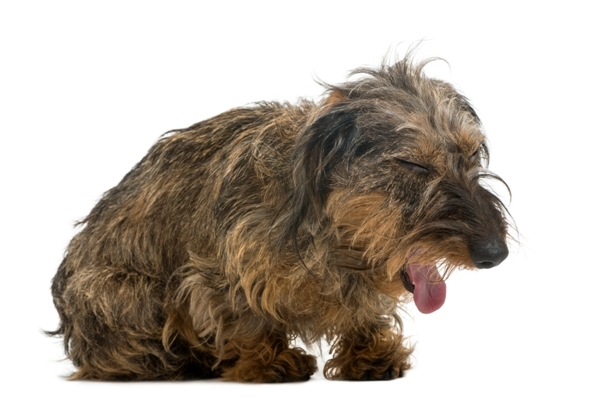 In extreme cases, or in older animals, Kennel Cough has been known to lead to pneumonia. If your pet doesn’t improve after a week or two, or the symptoms become progressively worse, it’s best to seek medical help immediately. Diagnosis is made by observing your pet’s symptoms (listed above) as well as taking into consideration the animal’s health history. 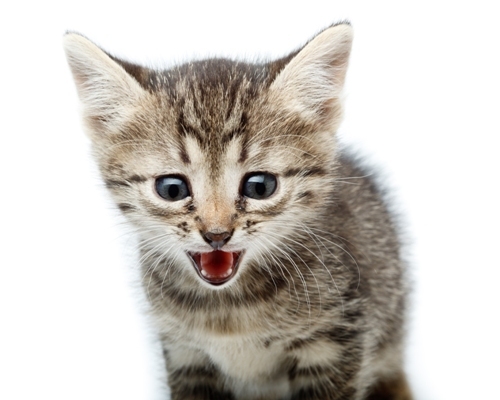 Kennel Cough in cats, for instance, is most likely to occur during the recovery phase from another illness such as feline immunodeficiency virus (FIV) or feline leukaemia (FeLV). If your cat has suffered from conditions that affect the upper respiratory system such as viral feline herpes, then they are more susceptible to developing the condition. Another tell-tale sign is when the symptoms remain or become progressive for an extended period of time. Kennel Cough symptoms generally last for between 10 and 20 days and will often recur during stressful periods. The condition is usually not a serious threat to your pet’s overall health and will in most cases clear up of its own accord. If the cough progresses to a level of concern over two or more weeks then the animal has the chance of developing pneumonia. Older pets are especially susceptible to developing pneumonia and other, more serious conditions can develop while the immune system is weak. Your vet will usually require a detailed history of your pet’s health to properly diagnose the condition. Just like when we come down with the flu or a bad cold, it’s important to rest. The best way to treat Kennel Cough is to allow your dog or cat to rest for as much time as they need. Walks and playtime probably won’t appeal to your pet while they’re sick with the condition so it’s best not to push them to exercise when they’re not feeling up to the task. After visiting your vet you may be given a number of medications to treat your pet. It’s common to be given a course of antibiotics to knock over the infection. While the proscribed medications are important, you can also do a few extra things to help soothe the cough. Try taking your pet into the bathroom with you whilst taking a hot shower; the steam will help to calm their sore throat. Ask your vet about administering human cough medicines and whether it may help. Some vets are happy to give you detailed advice on what cough syrups are best and the required dosage. While it can be beneficial, never give your pet cough syrup without the assistance of a veterinarian. Make sure your pet has all the good food and water they need to get better, faster. Be sure that they have plenty of fresh water and that it is changed regularly and that other animals don’t come into contact with its food. With the appropriate care and plenty of rest, your pet’s Kennel cough will usually subside after a week or two. First things first. The best way to prevent Kennel Cough is to ensure that your home is dust and dirt free and that the house is well-ventilated. Kennel Cough can develop from exposure to excessive levels of dust or cigarette smoke. If your pet is in a household with a number of other animals, quarantine the affected pet. Kennel Cough is extremely contagious and can spread rapidly. Keep the animals away from the other’s food also; the condition can spread by sharing water, kennels or feeding bowls. If you plan to go on holiday, do your research before sending your pet to a boarding kennels. You’ll want to find one that is pleased to show you the state of their accommodation. Look for transparency as well as a high level of hygiene. Speak to your veterinarian about vaccination options. 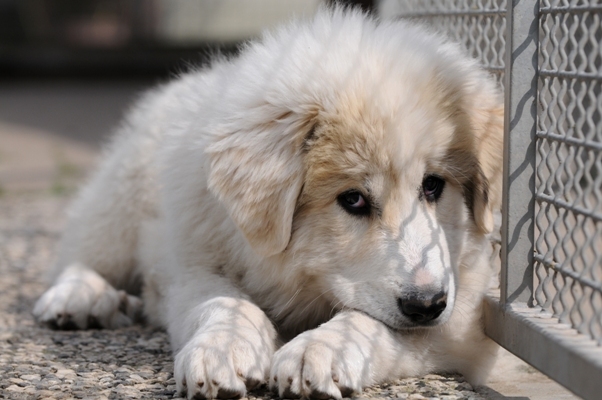 Most puppies will be vaccinated for a number of illnesses and diseases. Keep your pet’s records handy and seek advice on what vaccinations may be necessary to battle Kennel Cough. Find out more on Dog & Puppy Vaccination schedules & dog vaccination costs to help prevent Kennel Cough here. All cat and dog breeds are affected by Kennel Cough. The condition is common and can affect even the healthiest of animals. No matter how clean and well-maintained a boarding kennels is, Kennel Cough can never be entirely prevented. The condition is as common as a cold or the flu and almost every cat or dog will come down with it at least once in their lifetime. The bacterium that causes feline bordetellosis – bordetella bronchiseptica – is the same kind that causes Kennel Cough in dogs. Poorly ventilated living quarters, paired with exposure to cigarette smoke and excessive levels of dust in the home can cause the onset of Kennel Cough. What is not commonly known is that taking your dog to a park with other animals will also increase the chances of developing the condition.